NBA trade deadline was very eventful, seeing many player moved around. 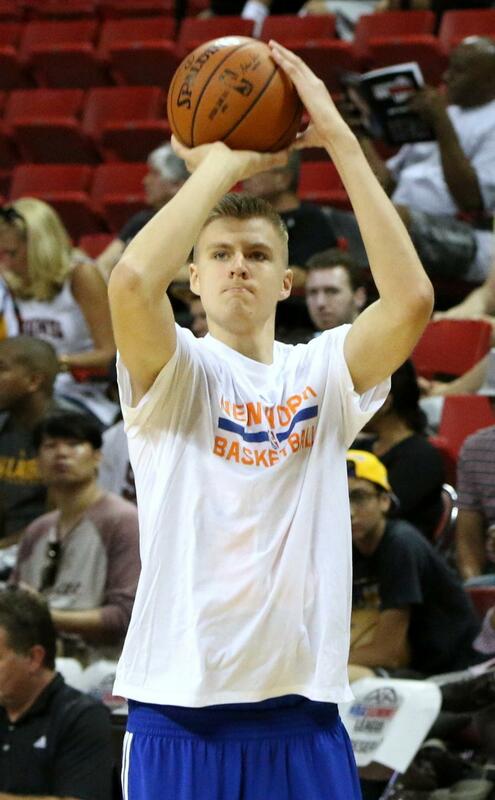 Kristaps Porzingis take a shot. This year’s NBA trade deadline was crazy. From disgruntled All-NBA players to teams trying to find the next piece of their championship contender to freeing up cap space with All-stars, this deadline was surely crazier than anybody could have imagined. January 28, 2018, news breaks that Anthony Davis, the 25 year old generational talent out of The University of Kentucky, requests a trade. He told the Pelicans organization that he did not want to stay with them and would not resign. In his tenure, not much was accomplished. They made the playoffs a total of one time in seven years and were beaten in five games in the second round by the Golden State Warriors. They looked to trade him all throughout the ten days leading up to February 7, the trade deadline, but had no success in finding a recipient to give them a valid offer for the perennial all-star. His contract expires in 2020 so will most likely be moved this summer. The biggest deal of the trade deadline had to be the deal between the New York Knicks and the Mavs sending Porzingis, THJ, Courtney Lee and Trey Burke to the Mavs for DSJ, Wes Mathews, Deandre Jordan and two future first-round picks. The biggest player in this deal was obviously Prozingis, The Unicorn, but he was coming off of a devastating ACL tear which ended his year abruptly last season. Porzingis is an amazing player, with only space to improve, but major uncertainty about his future. He could leave in the future, leaving the Mavs with nothing considering they are missing three first-round picks in the years to come. Also, who knows if Kristaps will come back to The Unicorn that we know or just a shell of his former self. From the Knicks’s point of view, this trade is iffy. They acquired tons of cap space, having 72 million cap in Free agency this year, but who will want to come play for New York? Although they are a huge market, James Dolan, their owner, has made horrendous decisions for the Knicks in the past. The Knicks also acquired Dennis Smith Jr. who was drafted with the ninth pick in the 2016 draft and has been good so far, but we will have to wait and see. The other two players they acquired were on expiring contracts. One of the most underrated moves this season had to have been the trade between the Kings and the Mavs. The Kings acquired Harrison Barnes for Justin Jackson, their fifteenth overall pick in the 2018 draft, and veteran Zach Randolph who has not played a game this season for the Kings. Harrison Barnes, only being 26, can bring veteran leadership to a rather young team. He is still in his prime and has plenty of experience in the NBA. 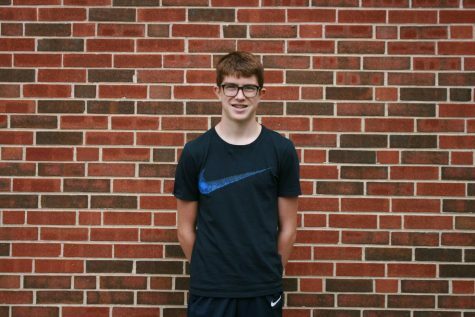 He is averaging a very solid 17 points and 4 rebounds on somewhat poor shooting numbers at 40.4 field goal percentage and 38 percent from three. This was a very solid acquisition for the Kings, who are attempting to make a run for the eighth seed in the Western Conference. He can start for them at the four and Bogdan Bogdanovic, who is balling out in his sophomore year, or move him to his normal position at the three and start Nemanja Bejlica, who is having a great year, while only averaging 9 points, is seriously spreading the floor for this young Kings team. I have no idea why the Mavs did this. They don’t have their pick for this year nor years to come so they have no reason to tank. The only reason the Mavs would make this trade is because of his money, which is about 50 million for the next two years. Both the Sixers and Raptors attempted to stock up and break out of the east. The Raps traded for Marc Gasol, but gave up a hefty price. They had to trade Jonas Valancunias, who was having one of his most productive seasons yet for them off the bench, and Delon Wright, a two-guard who seems young and promising but is approaching his prime. The time for him to blossom into a good player is running out. The Sixers also made a big time trade at the deadline for Tobias Harris, Boban Marjanovic, and Mike Scott for Landry Shamet, Mike Muscala (who was traded to the lakers later), and Wilson Chandler along with two first round picks in the big one being Miami’s in 2021. The Sixers now have a starting lineup of Ben Simmons, JJ Redick, Jimmy G. Buckets, Tobias Harris and Joel Emmbiid. This lineup is stacked with talent, shooting and defense. This team could certainly breakout of the east, and if something were to happen to the Dynasty in the Golden State Warriors, who knows. The Clippers made the deal because they were on pace to become an eighth seed and would have just lost in the first round to the rockets or warriors. By doing this trade, they acquired multiple picks and Landry Shamet, a rookie who has given the Sixers valuable role playing minutes. They will also most likely be in the lottery with this trade in a very stacked and deep draft class that is to come. The biggest losers this trade deadline were the Knicks and the Grizzlies. The Knicks used a generational talent in Porzingis who looked like was going to turn their franchise around in a trade to create cap and get THJ and Courntey Lee off of the books. The Knicks could have for sure gotten more back for him. Although Dennis Smith Jr. has looked good thus far, I think they could have gotten more for Porzingis than him and two picks. Another loser this trade deadline was the Grizzlies. They gave up Marc Gasol for a bunch of expiring contracts and one second in the far future. They could have certainly gotten a lot more for him last year or any time in the past. The winner of this deadline was the Boston Celtics and the 76ers. The fact that Anthony Davis wasn’t traded was awesome for them because they will be able to trade for him in the offseason and have more than enough assets to do it. Although they will have the cap for him, there is the possibility that he won’t sign an extension, and his father does not like his fit with the Celtics, saying he does not want his son to play for a team that was not loyal (when talking about the situation with Isaiah Thomas). The Sixers acquired a border-line all-star without having to give up too much. By doing this the Sixers created a serious contender in the east for years to come. They just will need to fine tune their bench to become perfect.